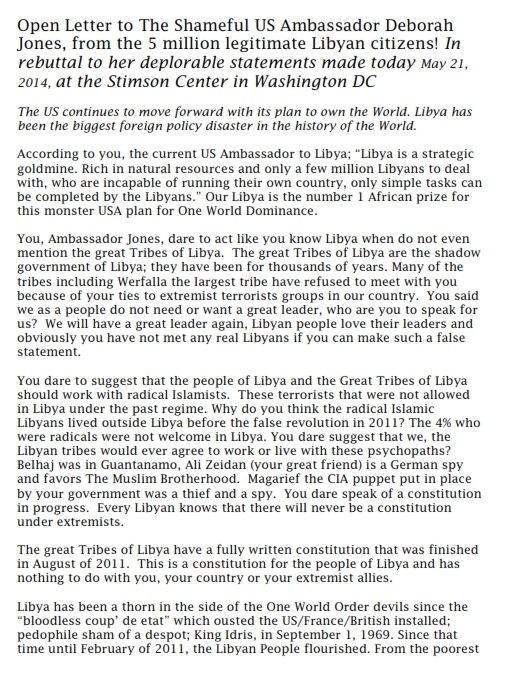 Deborah Jones, the shameful US Ambassador to Libya, spoke at the Stimson Center in Washington DC. Her prowess for mis-statements and lies is unmatched except by Hillary Clinton and Barack Obama’. She states the Libyan people never had a government before the so called “revolution” and that they are not capable of having a large government only of having small pieces of governments. She also states that the Libyan people do not want a great leader it is not in their culture. 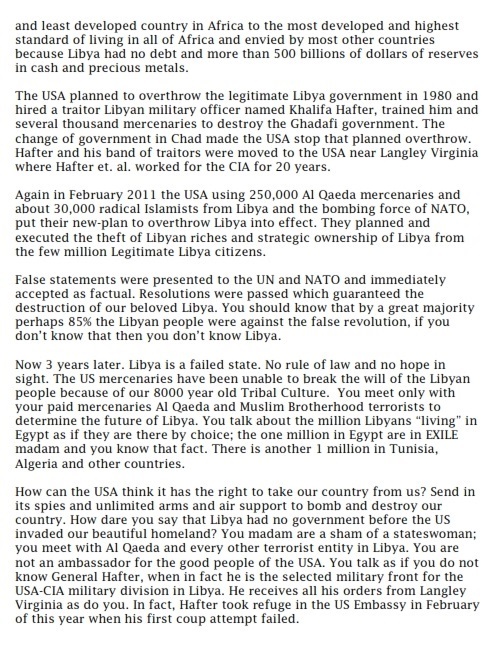 This entry was posted in + All - Archivio, Libyan Civilians, Libyan Tribes, Open letters, Statements, Tribes, USA, USA Ambassador, USA mafia, USA terrorism and tagged Deborah Jones, Libyan Civilians, Libyan tribes, Open letters, Statements, Tribes, US Ambassador, US Ambassador Deborah Jones, USA, USA Ambassador, USA mafia, USA terrorism and tagged Deborah Jones. Bookmark the permalink. Lets look at her premise . Which is fundamentally COLONIAL . She basically is saying that the Libyans are too STUPID . And need all this “help” and “assistance” from the progressive and stable West . But what is the NATIONALIST, REVOLUTIONARY PAN AFRICAN/ARAB response to this narrative ??? 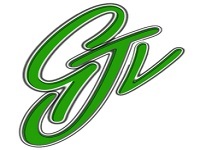 The “Green ” team has done NOTHING of ANY SIGNIFICANCE !!! So the typical DIVDE and CONQUER law of the gun rules WILL APPLY !!! 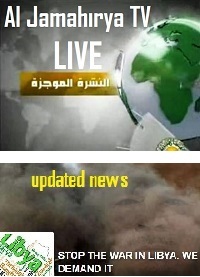 Maybe not everything is as it seems, and although not much news are coming from the media from the south of Libya, but all along the southern boundary the resistance is still active and alive, while in the north the jails are full of patriots and thousands of Libyans have been killed, then move around is more complicated. Libya and the real Libyan people are not deaths and are working for the reunification of the people and the tribes. We must have patience, faith, and wait for the best moment to rise again. In Lebanon there was not oil and international multinational company of mercenaries armed to the teeth. 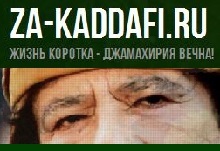 The real mistake that our brother Muammar Gaddafi did? 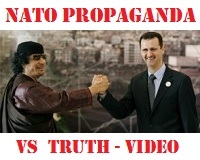 The illusion of having bridled the Western conspiracy against Libya and Africa, having invested money only for the people and the services, without instead continue with the modernization of military technology and build better strategic and military alliance pacts with nations like Russia and Syria. Iran, too, today a strategic ally of Syria, has played a very bad role in the Libyan crisis, do not ever forget it. Libya was and is alone to face the worst demons in the world. Green Libya is Free Libya! 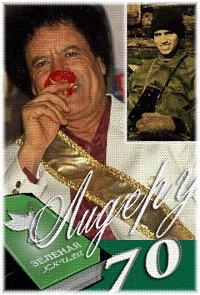 Long live the Green Resistance and the Libyan Socialist Jamahiriya! You are kept close to my heart and daily in my prayers! My heart goes out to the true Green Libyans, who have suffered and sacrificed and continue to battle on the front lines for ALL free peoples of this Earth. For a still better understanding of Amarica`s intentions with the whole world I recommend “Joint Vision 2020”, you can load down from the internet. 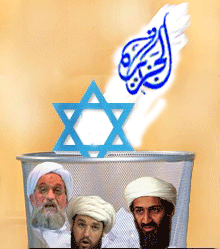 It`s a Pentagon-dossier from 2000. Read it and spread it to as many people as possible.